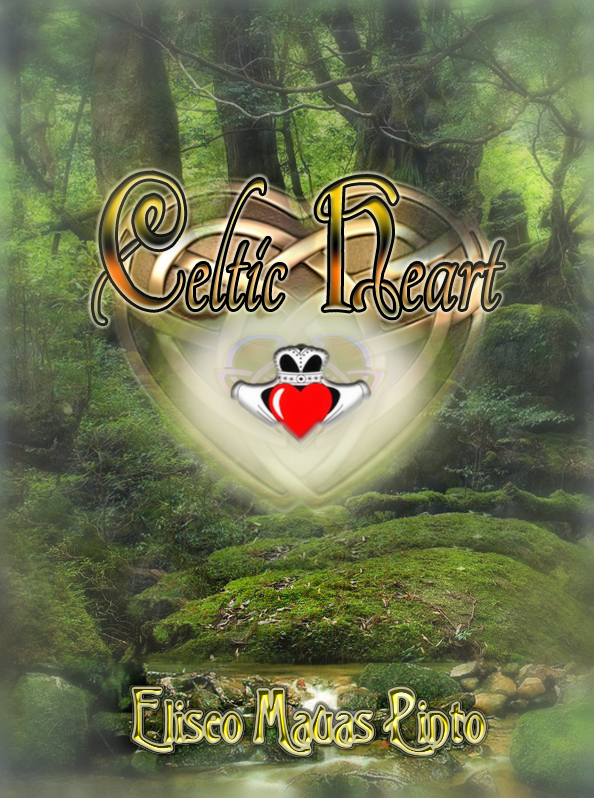 Celtic Heart is not only a brief compendium regarding the passionate and ancient Culture of the Celtic People, but certainly a good source of information to be read for all those lovers of all things Celtic. 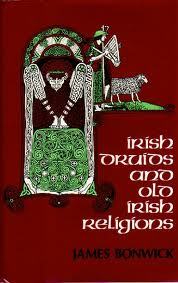 plus other remarkable motifs from the Celtic culture make this E-Book a quite amusing one to be read. I would like to share with you my special acknowledgment to Mysticmorning for granting me her kind permission to use her fabulous “Forest Untouched” photo stock for the book cover design. Bliss and blessings to you all! Butteflies have always been associated to the Goddess, Mother Nature, and particularly conceived as Messengers of the Otherworld. As we read these poems we can taste the spirit of our Celtic heritage. We can even enjoy the bonfires as they light up the sky.Each verse echoes with legends of old, bringing that past into our present. We can almost hear words uttered in the old language. We experience the same symbolism, enhancing our reading with a unique personal voyage. And we can hear the music of harps, of bagpipes, whistles and drums;the cries for freedom, the thundering waves in the sea, the roaring of the mighty boars in the way as our ancient bards mastered to perform at halls and mystic groves. Let the Celtic Spirit keep on flaming on our souls… Bliss and blessings to you all! As I already quoted on my previoues post Druidry: The Practice of Magic – Part One, the Celts, were devoted to magical practices, mainly in the hands of the Druids. Reflected back upon the mythological cycles, each clan or kingdom had its Druids, who, in time of war, assisted their hosts by magic art, the same power exercised to a great extent over the elements, some of which Druids claimed to have created. I share now with you a quite interesting research upon written sources by James Bonwick. One way of calling spirits from the deep, to do one’s will, was to go to sleep with the palms of both hands upon the cheek. The magic cauldron was not in such requirement as with the Welsh. But it was a Druidic trick to take an idol to bed, lay the hands to the face, and discover the secret of a riddle in dreams. Another trick reminds one of the skill of modern spiritualistic mediums, who could discover the history of a man by a piece of his coat; for, Cormac read the whole life of a dog from the skull. Healing powers were magical. Our forefathers fancied that a part of enjoyment in heaven was fighting by day and feasting at night, the head cut off in daylight conflict resuming its position when the evening table was spread. The rival forces of Fomorians and Danaans had Druids, whose special work was to heal the wounded at night, so as to be ready for the next morning’s battle. Nothing was more common than the raising of Druidic fogs. It would be easier to do that in Ireland or Scotland than in Australia. The Story of Cu speaks of a King Brudin who “made a black fog of Druidism” by his draoidheacht, or magic. Druidic winds were blasting, as they came from the East. The Children of Lir were made to wander on the Irish Sea till the land became Christian. Cuchulainn of Ulster was much given to magic. He caught birds by it. He left his wife to be with a lady in fairy-land. Caught by spells, he was brought back home. He drank the draught of forgetfulness that he might not remember fairy-land, and she drank to forget her jealousy. All this is in Lebor na hUidre or the Book of the Dun Cow (MS 23 E 25) is an Irish vellum manuscript dating to the 12th century. An odd story of the Druid Mananan is preserved in the Ossian Transactions. It concerned a magical branch, bearing nine apples of gold. They who shook the tree were lulled to sleep by music, forgetting want or sorrow. The Magic Wand is also featured in the story of Eochaidh Airemh … There is a fragment of it in Leabhar na-h-Uidhré, in the Royal Irish Academy, a manuscript which was actually written before the year 1106…the Irish Druid’s wand of divination was formed from the yew, and not from the oak, as in other countries; invoking diviantion thanks to the aid of actual characters, letters, or symbols, so well known as Ogam stones. Similar traditions are related by Kennedy, in Fictions of the Irish Celts. One of the tales is of Sculloge, who spent his father’s gold. While out hunting he saw an old man betting his left hand against his right. At once he played with him for sixpence, but won of the ancient Druid a hundred guineas. The next game won, the old fellow was made to rebuild the Irishman’s mill. Another victory brought him as wife a princess from the far country. But Sabina, when married, besought him to have no more to do with old Lassa Buaicht of the glen. Things went on well a good while, till the man wanted more gold, and he ventured upon a game. Losing, he was directed to bring the old Druid the Sword of Light. Sabina helped her husband to a Druidic horse, that carried him to her father’s castle. There he learned it was held by another brother, also a Druid, in an enchanted place. With a black steed he leaped the wall, but was driven out by the magic sword. At last, through Fiach the Druid, the sword was given to Lassa Buaicht. The cry came, “Take your Sword of Light, and off with his head.” Then the un-spelled wife reappeared, and the couple were happy ever after. There is also a reference of Tara on the story of Etain, wife of Eochaid, was carried off by Mider through the roof, and two swans were seen in the air above Tara, joined together by a golden yoke. However, the husband managed to recover his stolen property by the aid of the mighty spell of his Druid. At the Battle of Magh Tuireadh with the Fomorians, it is said that the chief men of the Tuatha de Danann “called their smiths, their brass-workers, their sorcerers, their Druids, their poets &c. The Druids were engaged putting the wounded in a bath of herbs, and then returning them whole to the battle ranks. We are told of a rebel chief who was helped by a Druid against the King of Munster, to plague the Irish in the south-west by magically drying up all the water. The King succeeded in finding another Druid who brought forth an abundant supply. He did but cast his javelin, and a powerful spring burst forth at the spot where the weapon fell. Dill, the Druidical grandfather of another King of Munster, had a magical black horse, which won at every race. Fintain was another hero of antiquity. When the Deluge occurred, he managed by Druidic arts to escape. Subsequently, through the ages, he manifested himself in various forms. This was, to O’Flaherty, an evidence that Irish Druids believed in the doctrine of metempsychosis. Fintain’s grave is still to be recognized, though he has made no appearance on earth since the days of King Dermot. In the Book of Lecan is the story of a man who underwent some remarkable transformations. He was for 300 years a deer, for 300 a wild boar, for 300 a bird, and for the like age a salmon. In the latter state he was caught, and partly eaten by the Queen. The effect of this repast was the birth of Tuan Mac Coireall, who told the story of the antediluvian colonization of Ireland. One Druid, Trosdane, had a bath of the milk of thirty white-faced cows, which rendered his body invulnerable to poisoned arrows in battle. The Book of Leinster has the story of one that loved the Queen, who returned the compliment, but was watched too well to meet with him. He, however, and his foster brother, were turned, by a Druidic spell, into two beautiful birds, and so gained an entrance to the lady’s bower making their escape again by a bird transformation. The King had some suspicion, and asked his Druid to find out the secret. The next time the birds flew, the King had his watch; and, as soon as they resumed their human appearance, he set upon them and killed both. The Book of Leinster records several cases of Druids taking opposite sides in battle.The northern Druids plagued the southern men by drying up the wells; but Mog Ruth, of the South, drove a silver tube into the ground, and a spring burst forth. Ciothrue made a fire, and said a charm with his mountain-ash stick, when a black cloud sent down a shower of blood. Nothing daunted, the other Druid. Mog Ruth, transformed three noisy northern Druids into stones. As I already commented on previous posts under the Druidry label, Celts have always had a special devotion for Nature, particularly as an expression or manifestation of the deity and divinity expressed with in Nature, not as Nature itself. This connection is deepened through reverence, ritual and meditation. A very personal experience indeed, spirit reaching to spirit. Through these religious practices we know that nature is sacred, we know that it is an expression of the divine, worthy of reverence. Sun-worship may have superseded other and grosser forms of Nature worship. In all ages, in all climes, and in all nations, the Sun, under various names and symbols, was regarded as the Creator and as sustainer of all things. A Scotch dance, the Reel, still keeps up the memory of the old Celtic circular dance. There is, also, the Deisol, or practice of turning sun-ways, to bless the sun. This was from right to left, as with Dancing Dervishes now, or the old Bacchic dance from east to west. Plautus wrote, “When you worship the gods, do it turning to the right hand.” Poseidonius the Stoic, referring to the Celts, said, “At their feasts, the servant carries round the wine from right to left. Thus they worship their gods, turning to the right.” The Highland mother, with a choking child, cries out, “Deas-iul! the way of the South.” A Dîsul Sunday is still kept up in Brittany. A stone was dug up in the road from Glasgow to Edinburgh, on which was an inscription to Grannius, the Latin form of grian, the sun. Enclosures in the Highlands were called Grianan, the house of the sun. On Harris Island is a stone circle, with a stone in the centre, known as Clack-na-Greine, the stone of the sun. At Elgin, the bride had to lead her husband to the church following the sun’s course. But did the Irish indulge in this form of idolatry? Morien, the modern and enthusiastic Welsh Bard, is equally desirous to remove from his sires the reproach of being sun-worshippers “One of the Welsh names of the sun,” he remarks, “proves that they believed in a personal God, and that they believed He dwelt in the sun That name of the sun is Huan, the abode of Hu” (the Deity) Elsewhere he writes, “There was no such a being as a Sun-God in the religious systems of the Druids. They named the sun the House of God (Huan-Annedd Hu).” Again, “The Gwyddorr (High Priest), was emblematical of the Spirit of God in the sun. The Gwyddon was clad in robe of virgin white, symbolizing light and holiness. His twelve disciples, representing the twelve constellations, formed the earthly zodiac. They too were robed in white.” Morien is the ablest living advocate of Welsh Druidism, but his views on that subject are somewhat governed by his extensive reading, his love of symbolism, and his poetic temperament. Griann, Greine, Grianan, Greienham, have relations to the sun. The hill Grianan Calry is a sunny spot. The word Grange is from Griann. There is a Grianoir in Wexford Bay. The Grange, near Drogheda, is a huge cone of stones, piled in honour of the sun. Greane, of Ossory, was formerly Grian Airbh. As Graine, the word occurs in a feminine form. The beautiful story of Diarmuid, or Dermot, and Graine is clearly a solar myth The runaway pair were pursued by the irate husband, Finn Mac Coul, for a whole year, the lovers changing their resting-place every night. One bard sings of “Diarmuid with a fiery face” The last Danaan sovereign was Mac Grene The, cromlech on a hill of Kilkenny is known as the Sleigh Grian, hill of the sun. The women’s quarter of that dwelling, was the Grianan, so-called from its brightness. Bel is also the sun in Irish, as in eastern lands. Beli was their god of fire Bel-ain were wells sacred to the sun. The Irish vernal equinox was Aiche Baal tinne the night of Baal’s fire. The sun’s circuit was Bel-ain, or Bel’s ring. A cycle of the sun, or an anniversary, was Aonach (pro. Enoch); and it is singular that we are told that the days of Enoch were 365 years. When Martin was in the Hebrides, he came across observances reminding him of solar worship. “In the Island of Rona,” said he, “off Ness, one of the natives needs express his high esteem for my person, by making a turn round about me, sun-ways, and at the same time blessing me, and wishing me all happiness.” Again–“When they get into the Island (Flannan) all of them uncover their heads, and make a turn sun-ways round, thanking God for their safety.” The Rev. Mac Queen mentions that every village in Skye had a rude stone, called Grugach, or fair-haired, which represented the sun; and he declares that milk libations were poured into Gruaich stones. Travellers have written of Hebridean boats, going out to sea, having their heads rowed sun-ways at first for fear of ill-luck on the voyage. Quite recently one observed the same thing done by Aberdeen fishermen, who objected to turn their boat against the sun. of the running waves to you. of the flowing air to you. of the gentle light on you. pour their healing light on you.